You don't need to wait a week for the next part of this program! Purchase and download the entire audio program plus the complete PDF transcript! 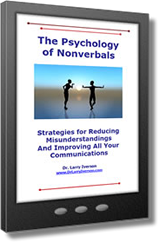 Dr. Larry Iverson teaches you the psychology of how you can structure your communications more effectively by understanding the laws of approachability and the psychology of great communications. Armed with this information, you will quickly be able to assess what’s important to the other person and build instant rapport. With the knowledge from this series of programs you will increase your charisma, credibility, and clout. Since your actions will determine how you are perceived: weak or powerful, unsure or confident, insecure or ready to take on the world—don't leave your communications to chance. 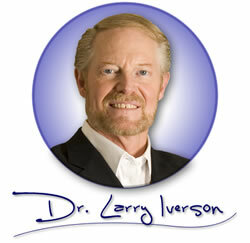 In this program you will learn to take control over how others perceive you. Is there any part of your life where being a good communicator or having a great relationship is not important? This program will show you exactly how to be a powerful communicator and get people to like you and your ideas in every situation. © Copyright by The Institute for Advanced Development.